Alright ladies, I survived shopping the first day of the Nordstrom Anniversay Sale (Early Access for cardholders). Let me tell you, it was crazy/exciting/scary/amazing and so worth it! Things were selling out all around me! Luckily, I was able to try on all of my favorites (as seen posted yesterday) and today I am showing you how some of them look on. 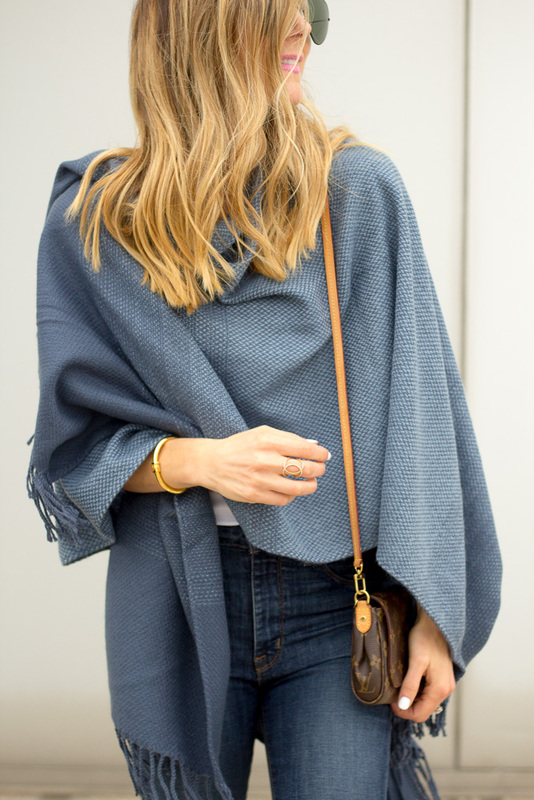 One thing I am sure of for fall fashion: ponchos and capes are the new fur vest. They are huge right now and the Nordstrom anniversary sale has a lot of great ones from $30-$50! At that price, you need one of these fall staples. 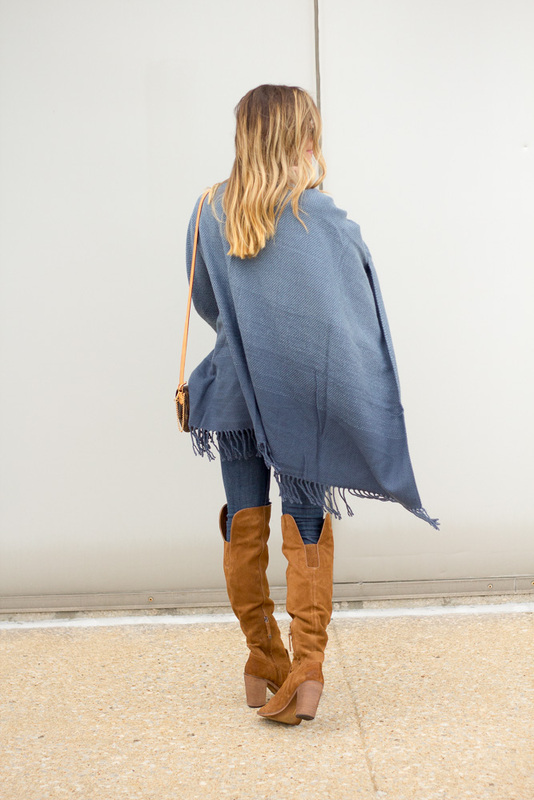 Another trend that will be huge this fall is over the knee boots. Nordstroms had several choices on the sale and these Dolce Vita ones are to die for!! I tried them on and knew they were meant to be. They are marked down to $100 from the original price of $179 -crazy, I know! I will keep updating my sale finds and posting different looks throughout the sale! Happy Shopping!! **Remember you must be a Nordstrom cardholder to access early sale items, otherwise you can shop these looks July 17th. 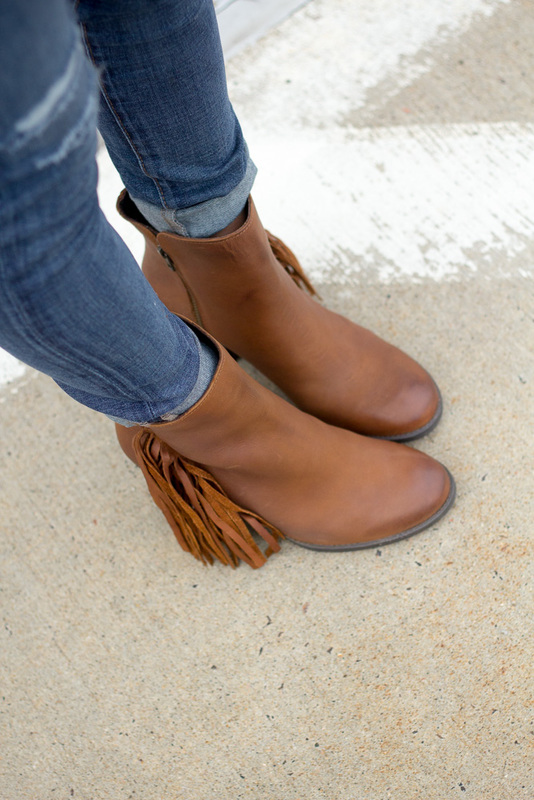 Steve Madden Fringe Bootie–originally $159 now $106. 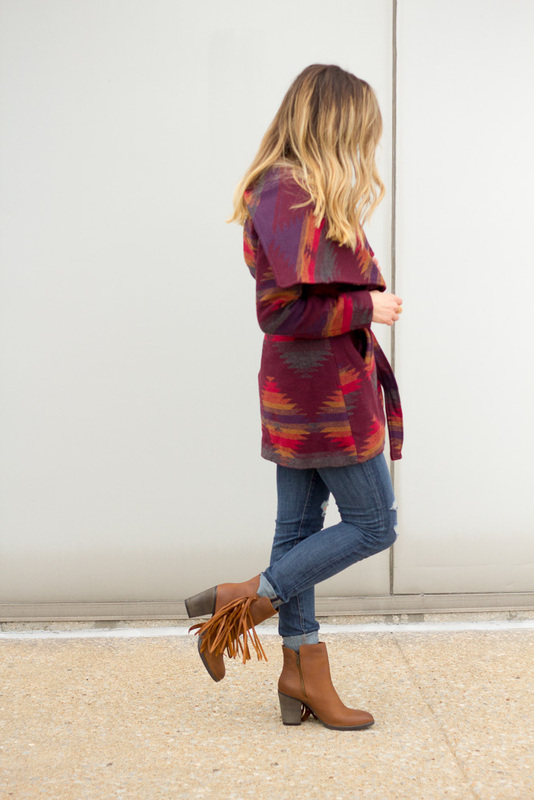 I love the fringe on these booties. A different twist to your normally bootie and they are so comfortable. 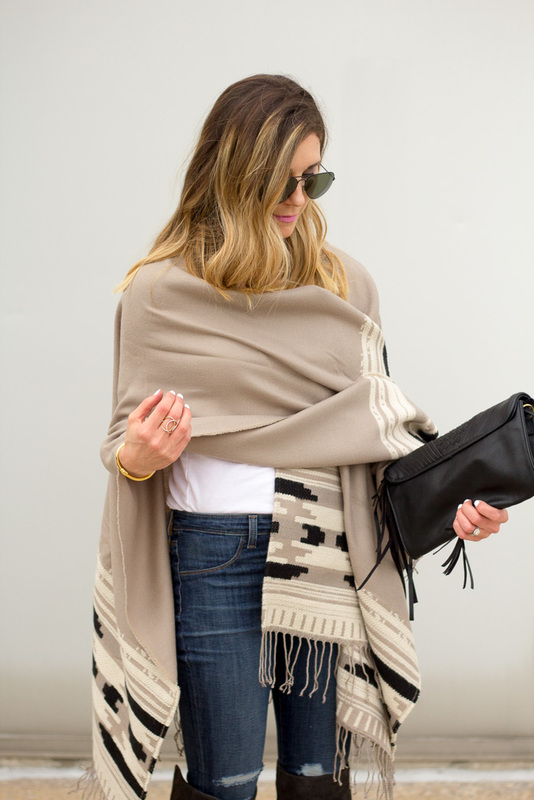 Vince Camuto Geometric Weave Cape– originally $78 now $48. I actually wore this yesterday, since it was cooler and I received so many compliments. Another gorgeous cape. I had to get these in both colors, that is how much I loved them. If there is one tall boot you get for fall, get these. 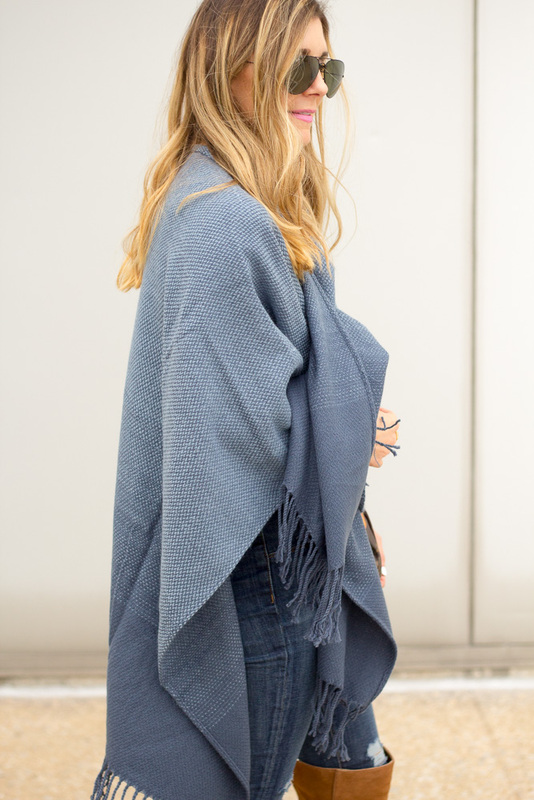 Perfect with capes, cardigan, sweaters, jackets. 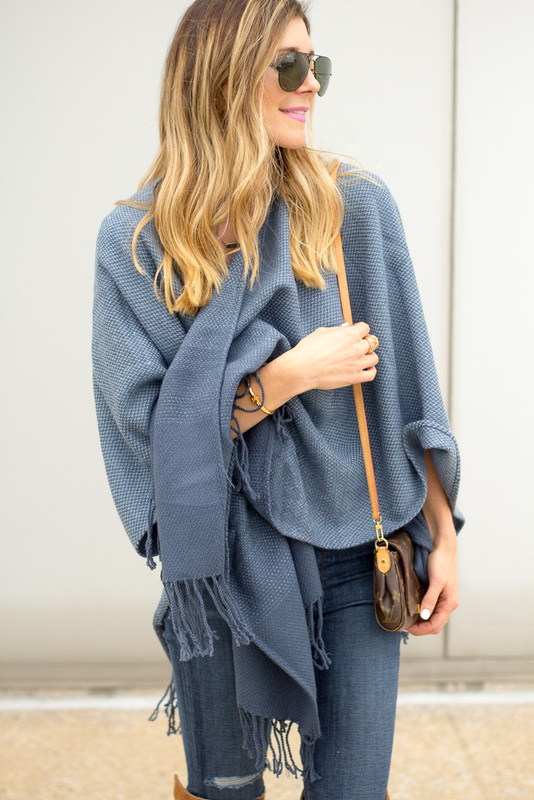 I love that stripe cape!! So cute! Thanks for sharing these great looks! Girl, I am all about this sale and have already done some serious damage. I was on the fence about the OTK Dolce Vita boots, but after seeing how cute they look on you I think I'm gonna splurge! LOVE all of these looks, especially that cranberry tribal print jacket! I'm thrilled to be in Texas now but at the same time, I hate that I won't have cold winter months to wear it!